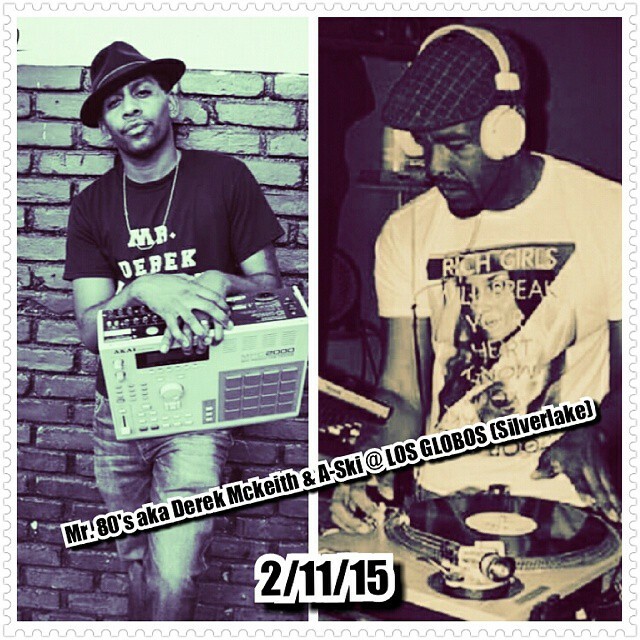 2/11 MR 80’S aka DEREK McKEITH & A-SKI @ LOS GLOBOS!!! This entry was posted on February 7, 2015 by unique74mag. It was filed under Unique 74 and was tagged with A-SKI, Derek Mckeith, Mr 80's, Pre Grammy Event, Unique74.